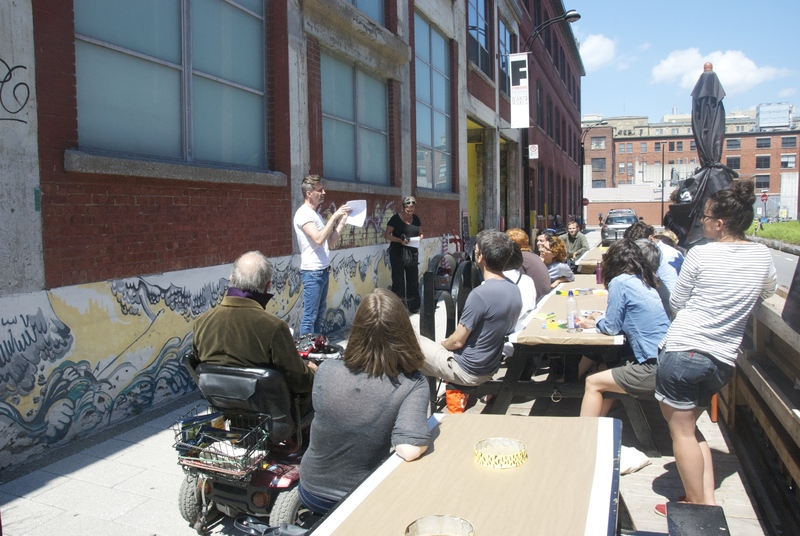 Public Space +Accessibility, Points of view lab at the Darling Foundry. Photo Camille Bédard 2014. 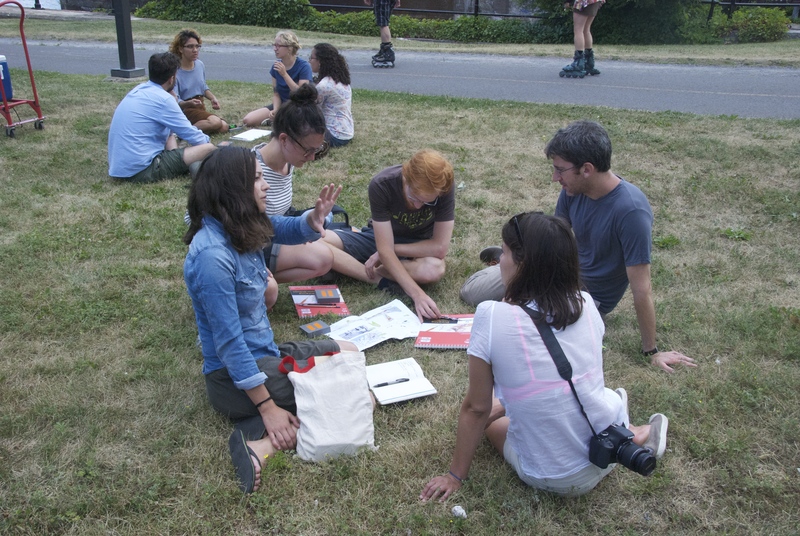 On July 26th Points of view hosted its second in situ urban lab on the theme of public space and accessibility. The participation of approximately 15 people made the workshop a huge success! Thanks to all who came out and shared their points of view! 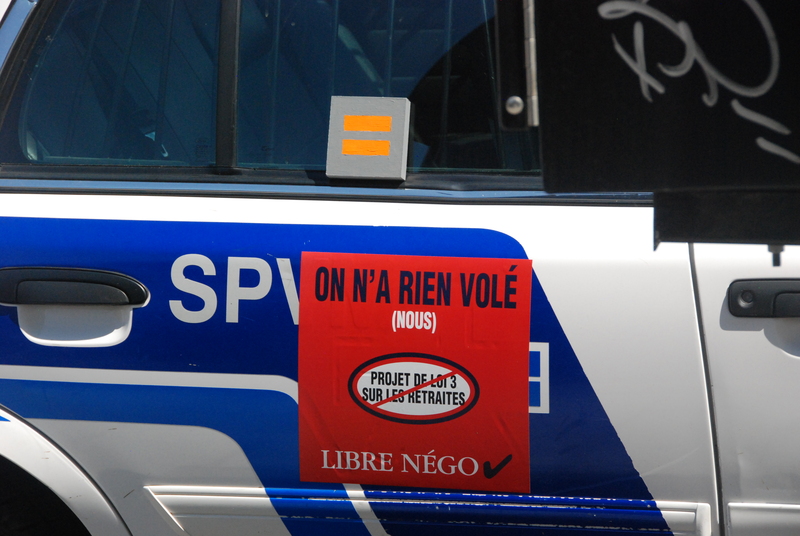 Special thanks also to the Points of view team and supporters: Camille, Cynthia, Andy, Mathieu and Micheline for documenting, and Alyse for taking care of the mobile water station. The workshop was co-curated by Thomas Strickland, Marie-France Daigneault-Bouchard, and myself. 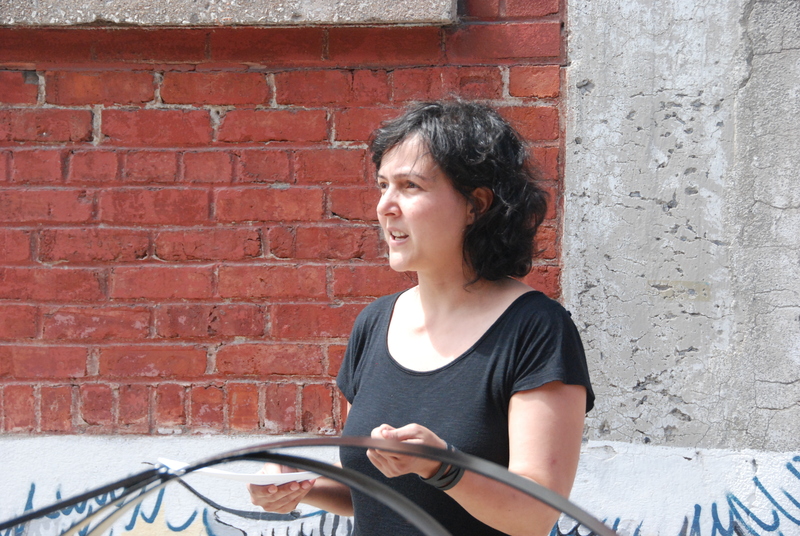 Dr Arseli Dokumaci, our guest speaker, kicked off the workshop by leading a group discussion on invisible disabilities in relation to accessibility and the built environment. Arseli leading a discussion on invisible disabilities and the built environment. Photo: Camille Bédard © 2014. Our discussion was followed by a group activity and walk from the Darling Foundry to the Wellington tower. 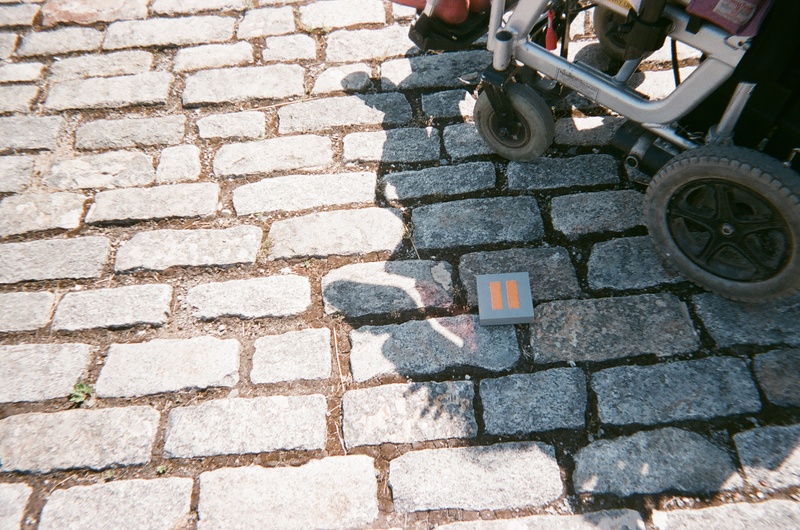 Tom, Marie-France and I asked participants to form groups and assigned them with the task of identifying their encounters with inaccessibility or spatial injustices on their journey between the Darling Foundry and the Wellington tower. 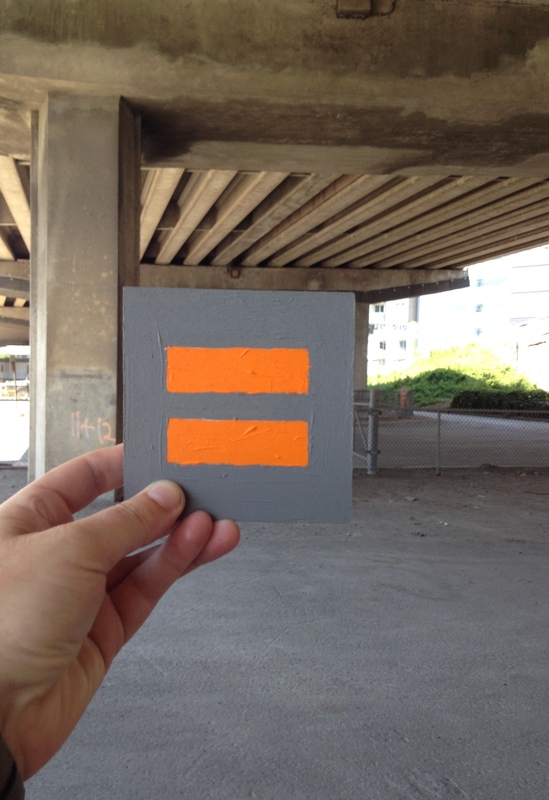 Each group was given a Spatial Justice emblem (designed by Tom and I, hand painted by Cynthia Hammond) and asked to use this prop to signify points of spatial exclusion or injustices in the built environment. Spatial Justice. 4×4″, acrylic on wood panel. Designed by Thomas Strickland and Shauna Janssen. Artist: Cynthia Hammond © 2014. 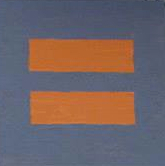 We conceived the Spatial Justice colour palette and design, painted with matt grey background and two orange bands (= equal sign) in solidarity with other human rights, social and activist movement logos. Tom introducing the Spatial Justice emblem. Photo: Camille Bédard © 2014. 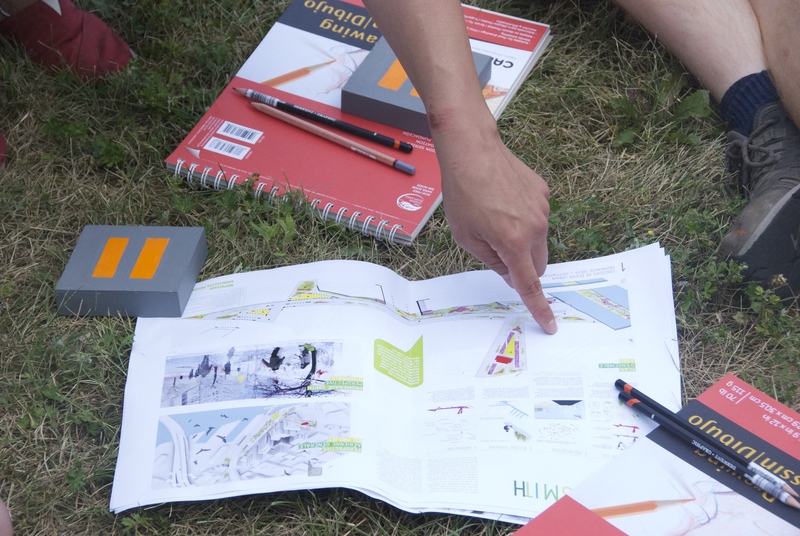 The range of collective encounters with spatial injustices and points of inaccessibility were many and diverse, physical and oral, olfactory and visual. Spatial Justice at Work! Photo: Arseli Dokumaci © 2014. Spatial Justice at Work! Photo: Camille Bédard © 2014. 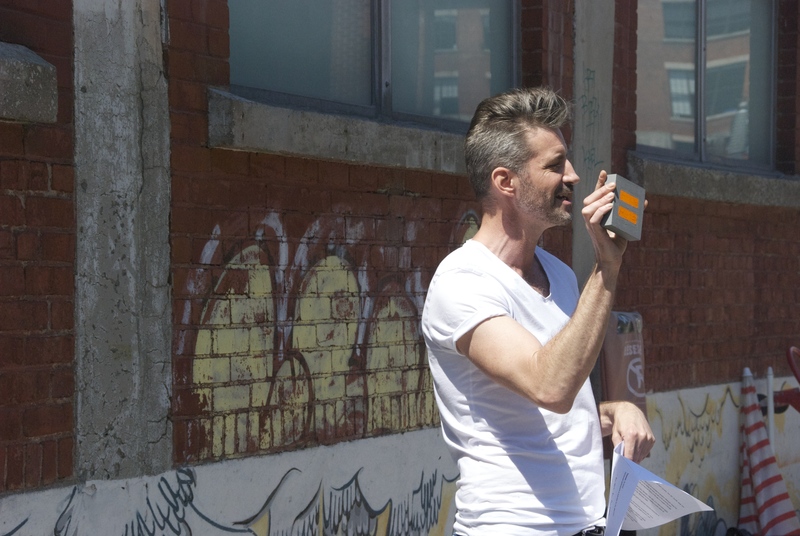 Vincent Briére documenting Montreal street barriers. Photo: Camille Bédard © 2014. Spatial Justice at work! Photo: Shauna Janssen © 2014. The path we took from the Darling Foundry to the Wellington tower included a corridor where Smith Street and the railway viaduct intersect. 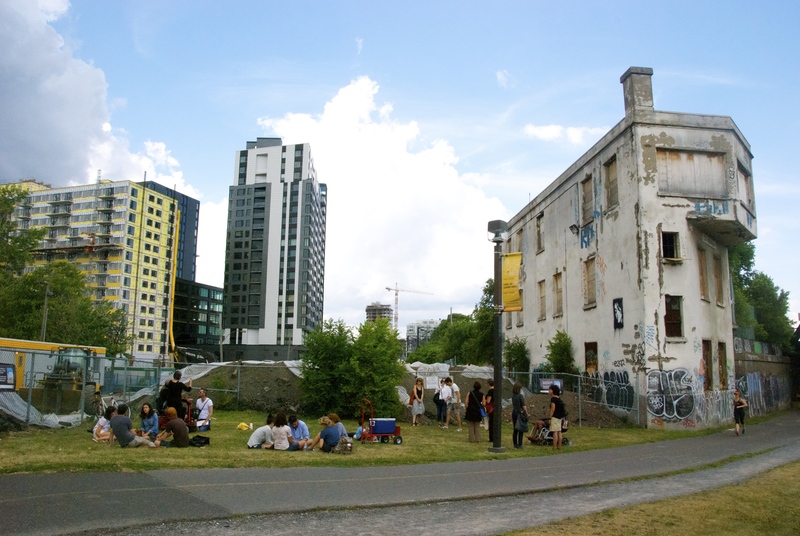 In the near future Nippaysage, a Montreal architectural landscaping firm, will redesign Smith Street and the viaduct into a public space. 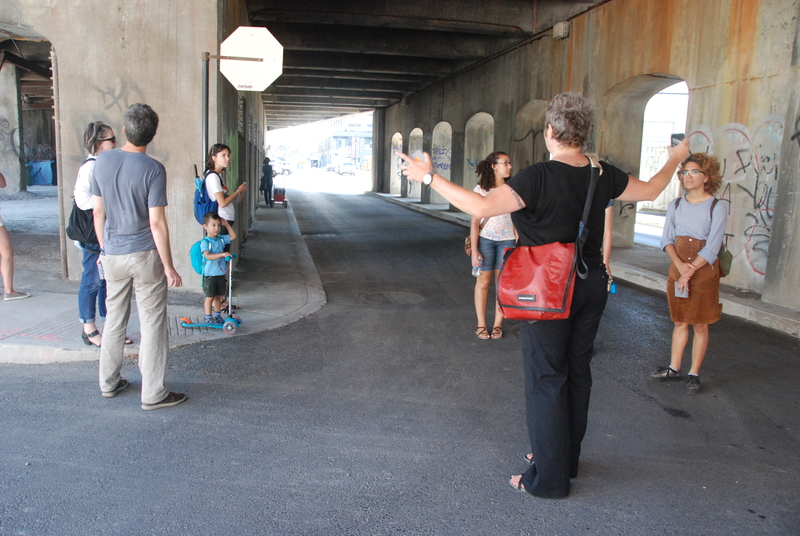 The implementation of this design will undoubtedly displace the current users and occupants of the viaduct. Smith Street Viaduct. Photo: Camille Bédard © 2014. 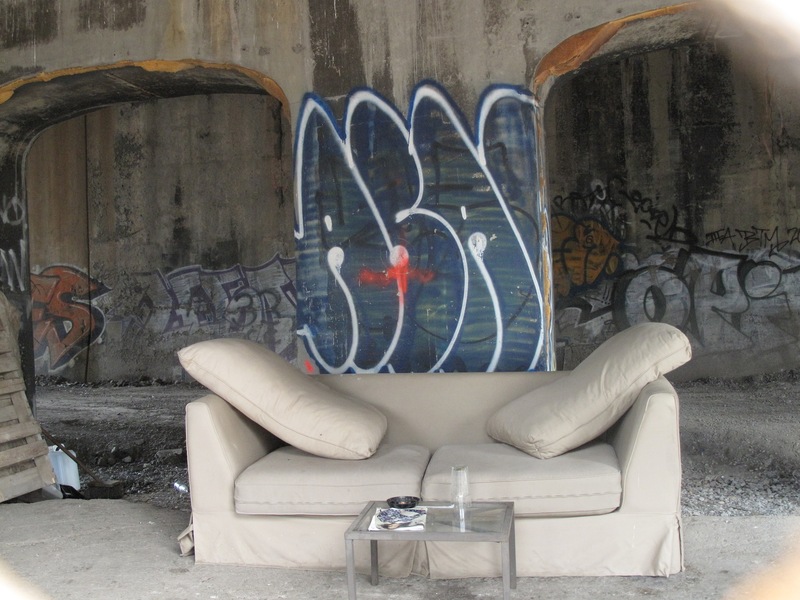 Living space underneath Smith Street Viaduct. Photo: Cynthia Hammond © 2014. Smith Street, Spatial Justice at Work! Photo: Camille Bédard © 2014. Points of view urban lab next to Wellington tower. Photo: Camille Bédard © 2014. 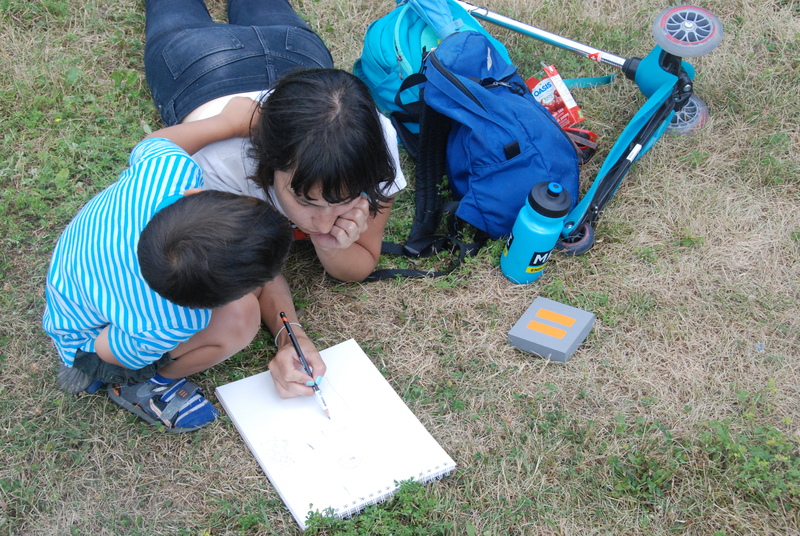 Théo and Chantale redesigning the Wellington tower. Photo: Camille Bédard © 2014. 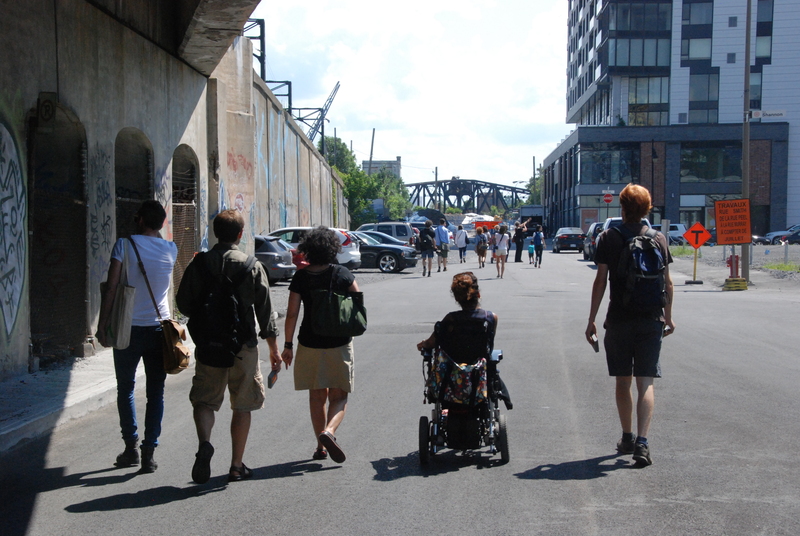 Public Space + Accessibility Urban Lab. 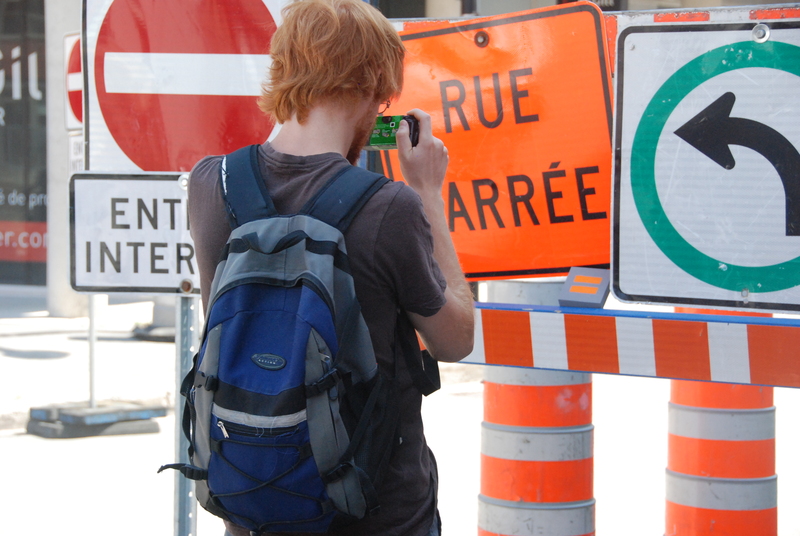 Photo: Camille Bédard © 2014.